Two volumes (30.5 cm and 23 cm), I: xxvii, 338 pp., 7 colour plates, 106 full-page black & white plates. II: 20 pp. Publisher’s pictorial wrappers. 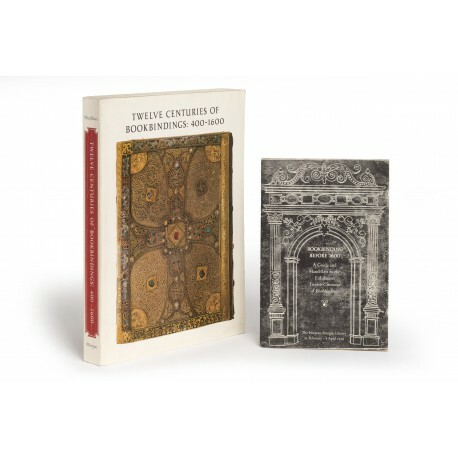 - A lucid introduction to the history of Western bookbinding, presenting 100 examples from collections in the Pierpont Morgan Library. 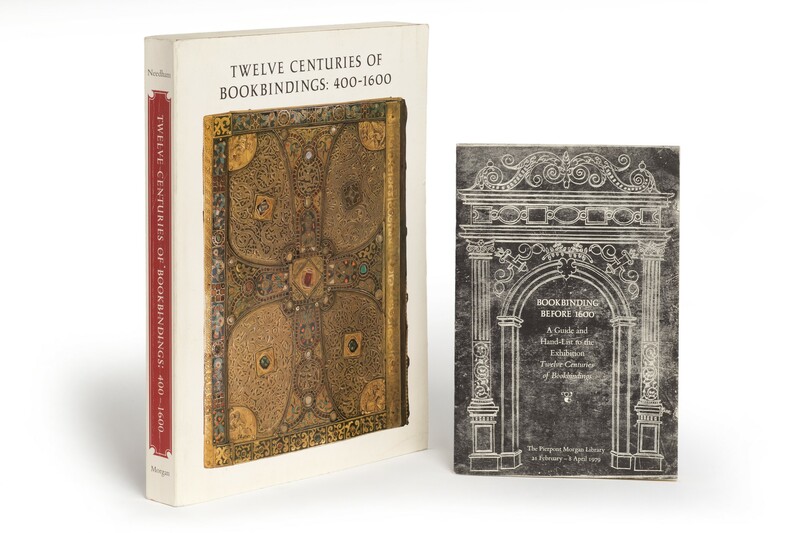 It commences with a group of four remarkable Coptic bindings of the fifth to ninth centuries, and ten medieval treasure bindings, however the great majority of entries describe bindings on printed books. There is some overlap with Nixon’s earlier book on the Morgan’s sixteenth century gold-tooled bindings (29 items), however no repetition, as Nixon’s focus is on the tools and their occurrences elsewhere and Needham places the copy in a larger, cultural context, and considers its previous owners. ¶ Light shelf-wear; otherwise a very good, unmarked copies. (30.5 cm), xxvii, 338 pp., 100 plates (some in colour). Publisher’s pictorial wrappers. ¶ Slight shelf-wear; otherwise a fine, unmarked copy. (23 cm), 20 pp. Publisher’s printed wrappers. - When it became clear that Needham’s catalogue would not be ready in time for the exhibition, this guide containing details of the bindings on display and a “short but illuminating” introduction by Needham was produced (quotation from a review by Jan Storm van Leeuwen, in Quaerendo, volume 11, 1981, p.244). ¶ Excellent copy.